The Yale Y110/40/123/HSP Hasp and Brass Padlock Set contains 1 x 120mm Steel Hasp in Black and 1 x 40mm Brass Padlock. 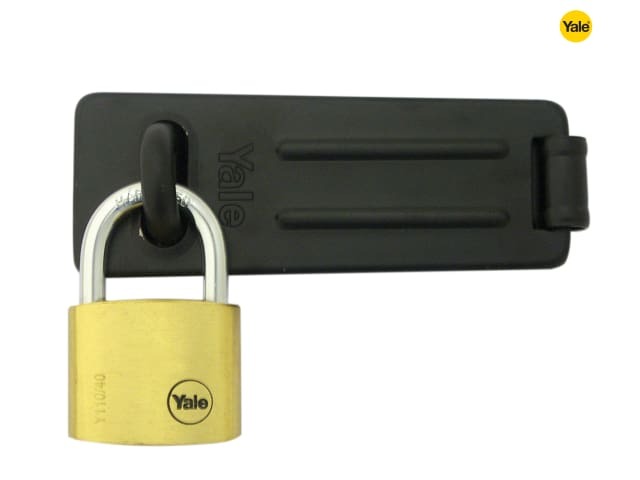 This standard security product is tested to EN12320:2001 with a CEN1 rating. 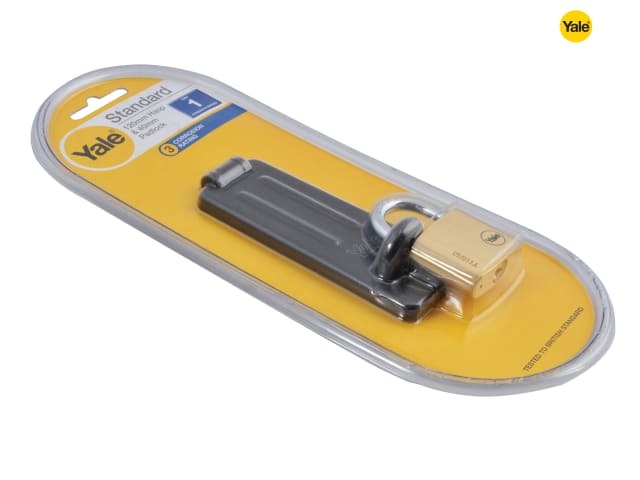 The padlock is self latching, has a 5 pin cylinder and is made from solid brass with a stainless steel shackle. It has a 22.4mm shackle clearing. The hasp has concealed fixings for additional security and is ideal for securing sheds and gates. 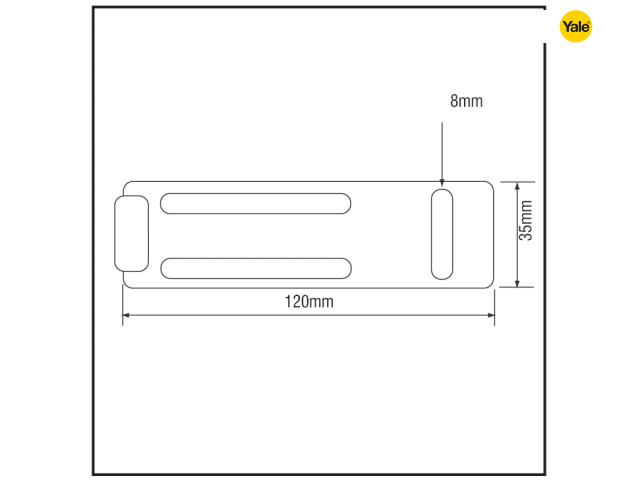 Hasp dimensions: 120mm x 35mm. 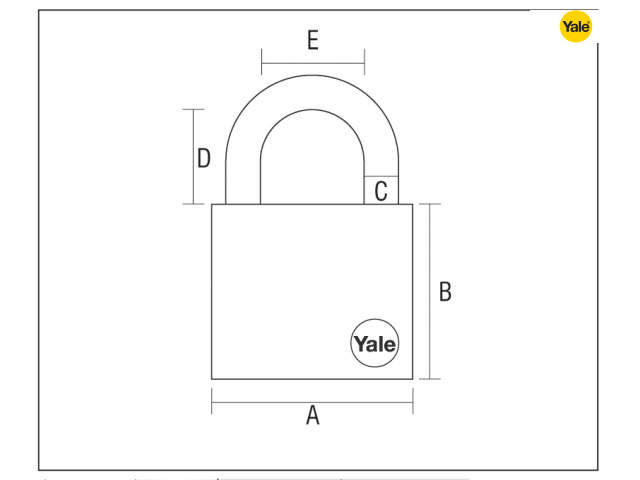 Padlock body dimensions: 61 x 41 x 14mm. Internal shackle: 22mm x 22.4mm. 1 x Hasp 120mm x 35mm.